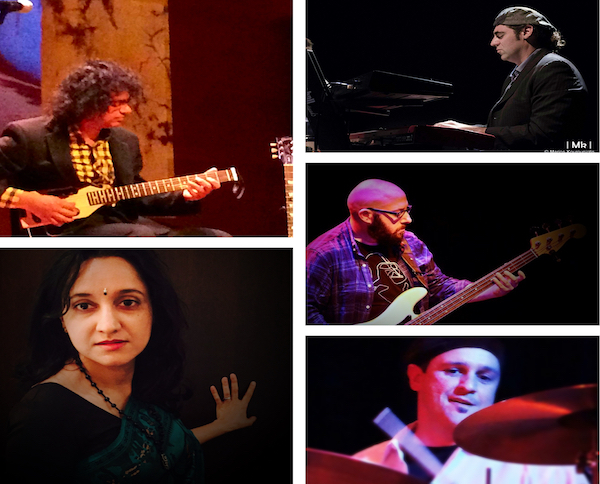 For his June 4 Terraza 7 show, Prasanna brings back some of his favorite musicians – Shalini, Manu Koch, Steve Jenkins and Mauricio Zottarelli for yet another edition of Prasanna arrangements of the music of India’s legendary composer Illayaraja. The concert is also appropriately timed as June 2nd is Maestro Illayaraja’s 73rd birthday. The first edition of the Illayaraja Night at Terraza 7 in March was sold out and we expect this to be a big one too. Prasanna, Steve Jenkins and Mauricio Zottarelli recently performed in Chennai in March for 15,000 people at Ithe event celebrating llayaraja’s 1000th film score.